Every actor has their heyday. Every now and then it seems that there’s only three or four actors in practically every film. Jennifer Lawrence is currently experiencing a pinnacle of popularity, and long may it continue. You might be surprised by the Top 10 Actors with the most prolific role-count. Surely, it’s got to be Bruce Willis with 115 acting credits? Tom Cruise? He has just a mere 46 movies to his name: a mere apprentice in comparison with these monsters of the screen. So, here are the Top 10 most prolific actors to have graced the silver screen. 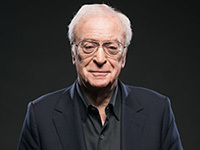 Michael Caine has 167 movie and TV credits and, at the grand age of 85, he’s showing absolutely no sign of slowing down. Caine has starred in some of the most iconic movies of all time, including the titular role in Alfie (1966) which catapulted him into the limelight. He starred with Lawrence Olivier as Milo Tindle in the marvelous two-hander Sleuth (1972) and returned in the opposite role against Kenneth Branagh in the 2007 remake (with Harold Pinter as screenplay writer no less!). 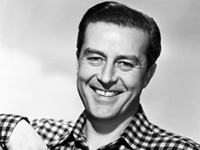 Ray Milland was a Welsh star with 182 acting credits to his name. He made his fortune, becoming one of Paramount’s most bankable stars between 1934 to 1948, where he made the vast majority of his movies. He continued to work throughout his seven decades as a movie star. His notable appearances were as Don Birnam in The Lost Weekend (1945), directed by Billy Wilder, Tony Wendice in Hitchcock’s Dial M For Murder (1954), and Oliver Barrett III in Love Story (1970). Canadian born, Sutherland, may have spawned a family of actors, but he’s had a fair few credits himself, with 188 actor credits in total. Donald’s career has spanned five decades, with leading roles, supporting roles, and TV cameos. 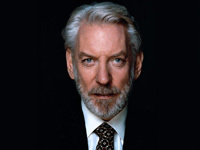 His most notable work is as President Snow in The Hunger Games trilogy (2013-2015), Mr. Bennet in Pride & Prejudice (2005), and Matthew Bennell in Invasion of the Body Snatchers (1978). His list of awards and nominations is almost as long as his CV, with 2 Golden Globe wins to his name, and an Honorary Academy Award in 2018. “Who?” I hear you ask. Well, they don’t come much more prolific than Louis Gossett Jr, the archetypal supporting actor with 196 acting credits to his name. His most notable work was as Sgt. Emil Foley in An Officer and a Gentleman (1982), as Fiddler in the game-changing Roots (1977), and Calvin Bouchard in the shockingly awful Jaws 3-D. 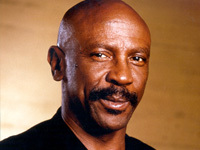 Nonetheless, Gossett Jr. is one actor who is CONSTANTLY working. You might not have heard of many of his movies, but he has one long CV. His voice-over work includes Drill Sargent in the Saving Private Brian episode of Family Guy (2006), and Lucius Fox in The Batman TV series (2007). 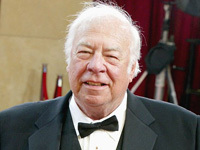 It seems that the role of supporting actor is one which affords a long, prosperous career, for George Kennedy had 183 credits to his name when he died in 2016. Starring alongside many of the greats of the silver screen, including Paul Newman, Cary Grant, Audrey Hepburn, and regular appearances as Carter McKay in the original series of Dallas, George was one of the most prolific TV stars we’ve ever known. Comfortable with both comedy and drama, his range spanned most genres, including Ed Hocken in the eternally hilarious Naked Gun franchise; Ray Spruce in the rather sub-standardly spooky Creepshow 2 (1987); Erik Larsen in The Loveboat series (1984); and Andrew Pennington in Death on the Nile (1978). 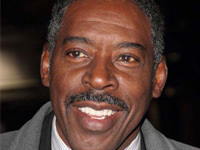 Ernie Hudson is another of those actors who’s been many times the bride’s maid and rarely the bride: the perennial supporting actor. Nonetheless, he’s starred in 191 movies, with an overall total of 234 acting credits. His voice-over work includes Mufasa in The Lion King (1994 & 2019) and – of course – as everyone’s favorite megalomaniac, Darth Vader in the Star Wars franchise. 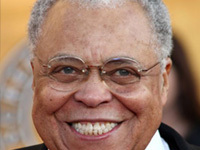 James Earl Jones is probably more widely known for his voice than his face – yet he still has a total of 190 acting credits to his name. Ernie is also a regular in the Lily Tomlin / Jane Fonda Netflix show, Grace and Frankie; where he’s appeared in 15 episodes as Jacob. Hudson is also a well-known playwright at Concept East, the most established black theatre in the USA. 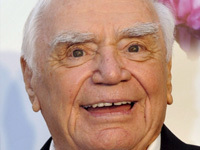 Ernest Borgnine starred in a spectacular 206 movies before he died in 2012. Some of his most notable roles were Mike Rogo in The Poseidon Adventure (1972), Dutch Engstrom in The Wild Bunch (1969), and Cabbie in Escape from New York (1981). He won an Academy Award for Best Actor in a Leading Role for the titular role in Marty (1955) and won 16 other awards throughout his time. He must have had a significant mantlepiece. Borgnine was further immortalized in song, on John Grant’s Pale Green Ghosts album (2013). 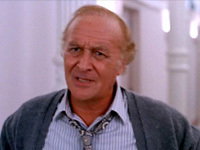 Robert Loggia has an amazing 233 actor credits. The eternal support actor: he was nominated for Best Supporting Actor for Jagged Edge in 1985, and won a Saturn Award for Best Supporting Actor for his role as Macmillan in Big (1988). His most famous movies include Revenge of the Pink Panther (1978), An Officer and a Gentleman (1982), and Scarface 1983). He also starred in Malcolm in the Middle and The Sopranos. 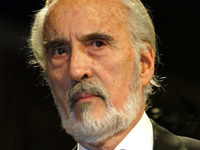 At the top spot, we have Sir Christopher Lee. British-born, Lee, has no fewer than an amazing 280 acting credits during a career that spanned EIGHT decades! He first appeared, at the tender age of 24, on Kaleidoscope: a British TV show that started in 1946 and continues to run to this day. Of course, his most notable role was Count Dracula – in fact, he appeared in ten separate films as the titular vampire. He was probably best known for his many Hammer Horror appearances of the 60s and 70s, but he came to the attention of the current generation as Count Dooku in the Star Wars movies (Episode II & III). We tragically lost this behemoth of the silver screen in 2015, but he’s way ahead of any other movie star in terms of credits. So, there you have it. Some names you know, and some you probably don’t. It’s amazing how many supporting actors have made this Top 10. Acting is a notoriously challenging career with long periods of “rest”; I guess, you just grab the work when you can get it. Guest Author: Katie Porter is an aspiring writer, movie lover, and part of the team at Seatup. In her free time, she enjoys exploring her home state Colorado and plays in women’s amateur rugby league.